Great Leadership: What Kills Great Leadership? Leadership is a powerful thing, one that comes with a unique set of stresses, challenges, privileges, and responsibilities. Our leadership journeys begin starry-eyed and well-intentioned, but the path to leadership power is one that can lead even the best of us astray if we aren’t careful. “What kind of leader will I be?” is a useful question to ask oneself, but it ignores the central issue that snares most good leaders and squanders their potential to be truly great. A better question to ask is: “How will I use my leadership power?” If it turns out the power is being used to benefit yourself rather than those you lead—sorry, that’s being a ruler, not a leader. It’s your responsibility as a leader to lift up those who follow you, not use them as stepping stools to further power or glory. It’s sadly common for leaders to become intoxicated with power and become obsessed with acquiring more of it rather than using it to benefit those they are privileged to lead. Leadership, ideally, involves using and distributing power in a way that best serves the interests of those being led. Great leaders have a sense of personal responsibility keeping their ego in check and reminding them of their duty, which is to act in a way that dignifies the role of leader—further causing others to be inspired to seek out leadership positions that they can lead in a dignified way, too. Sounds pretty noble and gratifying, doesn’t it? So why do so few leaders we see today live up to the potential of leadership? 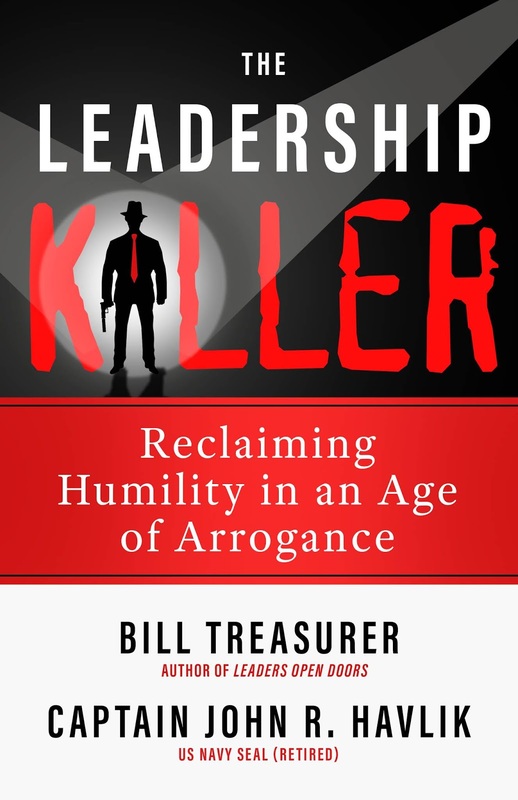 In short, many prominent figures today have had their leadership potential and ability struck down by hubris – what I dub the “leadership killer.” Hubris—defined as “dangerous overconfidence,” is lurking in the shadows of all of us, waiting for you to taste success so it can whisper in your ear about how you’re special and deserve more, more, more. Left unaddressed, the killer will undermine your leadership impact, amplify the worst parts of your nature, feed your ego, and ultimately cause you to mistreat others. It’s crucial that you remain vigilant so you can notice hubris when it tries to sneak up on you. In part, this requires you to develop mental, physical, and spiritual fitness to keep it at bay, but it also involves simply knowing what to watch for. The best way to be a great leader is to know how to avoid being a bad one. o Backbone and resolve convey strength in a leader. But when a leader’s opinions and preferences are calcified to the point that they are shut off to new ideas and contemporary approaches, their influence slowly rots. Entire organizations have fallen because of leadership rigor mortis. o Vibrancy as a leader depends on continuously striving to gain new skills and competencies, and embracing new approaches. Over time, though, a leader may come to rely too much on past experience, automating his response to new challenges that actually warrant novel approaches. Before long complacency causes a leader to settle, expecting and accepting less of himself…and those being led. o A leader needs to have depth of knowledge to engender confidence among those he is leading; leadership competence yields follower confidence. Conversely, people will quickly lose confidence if they sense that their leader doesn’t know what he’s doing. Hubris deludes a leader to think he knows more than he actually does, causing him to overestimate his talents and underestimate his limitations. o Make no mistake: fear gets results. If it didn’t, it wouldn’t be used by so many leaders as the primary means of motivating people. But fear has diminishing returns, eventually undermining the very returns a leader aims to get by stoking it. A leader’s job should be building people’s courage and confidence, not tearing them down by injecting them with fear and anxiety. o People need to know that the person behind the leader’s role is real and vulnerable, just like them. Vulnerability and authenticity help bridge the natural distance between followers and a leader, but hubris causes a leader to falsely portray himself as invincible and superior to all others. o A leader needs followers more than followers need the leader, because a leader’s results depends on their work. It’s simple really: without followers you can’t be a leader. A leader who fails to express gratitude–generously and genuinely–will lose the hearts and minds of followers, and undermine results in the process. Hubris withholds gratitude because acknowledging the contribution of others takes attention and acclaim away from the leader himself. Don’t worry if you’ve experienced one or two of the above traits at times—no one is perfect, and no one becomes a monster just because they were complacent that one time. Every leader is occasionally impatient, irritable, arrogant, or harsh. We’re human. It’s important not to think of these traits as absolutes; rather, consider them symptoms that might point to hubris when they appear in large numbers, but could also be unrelated to ego—just like a stuffy nose might not be the flu, but rather allergies or a simple cold. Any you notice in yourself are worth digging into to see if the root cause is hubris or something else. Only then can you address it and continue to grow free of the leadership killer’s shadow. Speedbumps are inevitable in anyone’s growth, and as long as you are able to note your flaws and move past them with integrity, you’ll be able to lead more virtuously, humbly, and selflessly. Bill Treasurer is the Founder and Chief Encouragement Officer at Giant Leap Consulting, a courage-building company that exists to help people and organizations live more courageously, and the co-author of The Leadership Killer: Reclaiming Humility in an Age of Arrogance, along with Captain John “Coach” Havlik, U.S. Navy SEAL (Retired). A former member of the U.S. High Diving Team, Bill is considered the originator of the new organizational development practice of courage-building. 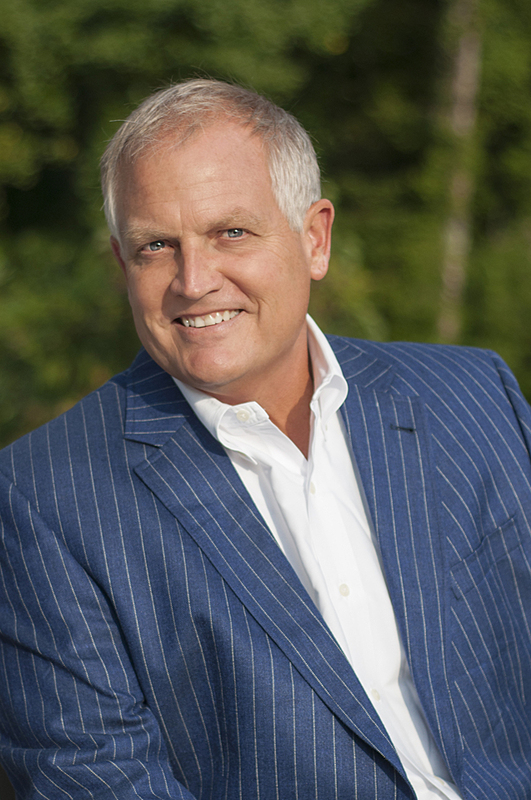 For over two decades, he has designed and delivered leadership and succession planning programs for experienced and emerging leaders for clients such as NASA, Accenture, CNN, Saks Fifth Avenue, Hugo Boss, UBS Bank, Walsh Construction, the Pittsburgh Pirates, the Centers for Disease Control, the National Science Foundation, and the U.S. Department of Veterans Affairs.